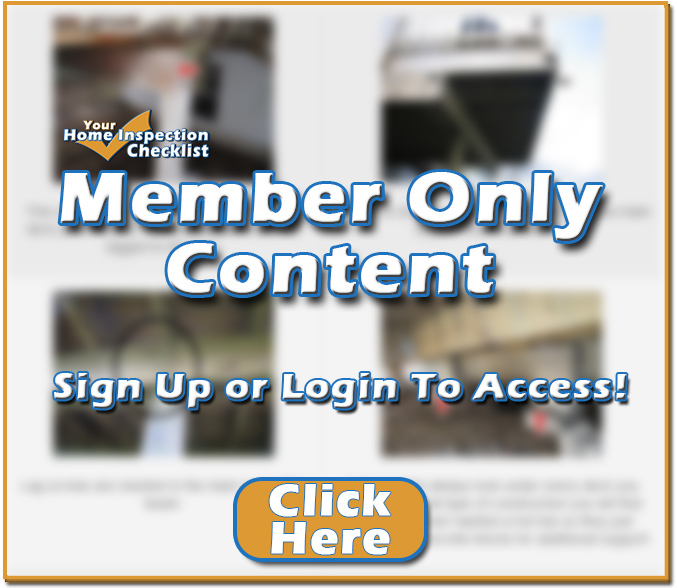 Look very closely at some of the different problems you might find in a newly built home! 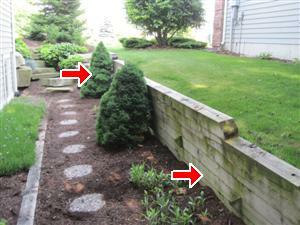 Recommend filling these openings with concrete or a concrete caulk to stop water from entering behind the stone. 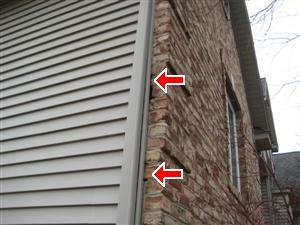 The brick has been stained from water leaks it is important to look on the inside of the home for water leaks/stains. 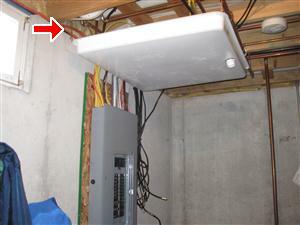 The bricks have separated 1″ in the center of the garage door opening.This garage door beam was undersized when installed. This is a serious issue and will need to be repaired. 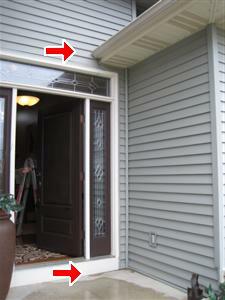 This type of overhang over the front door looks very nice but we often find serious water leaking issues at the base of the front entry or the garage ceiling. 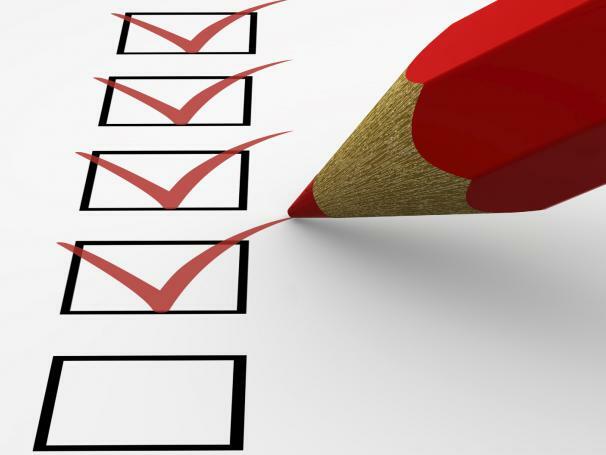 When ever you see a home where the upper level bedroom sits over the top of the garage we recommend to look close at the garage ceiling, attic in the garage and under the bedroom windows above. 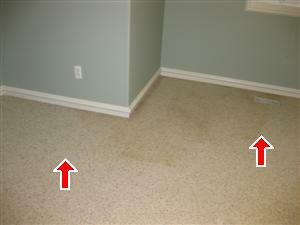 This is a very common area for water leaks. 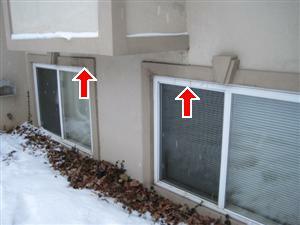 Both these exterior windows have been heavily caulked at the top of the windows with clean silicone, this indicates past water leaks. 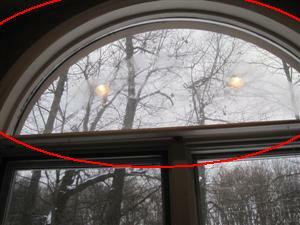 When you see this look very close at the interior of the windows for water stains or current leaks. 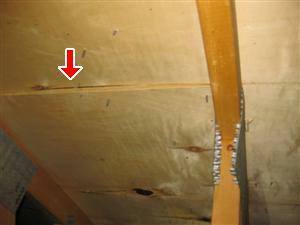 This is another photo of a new home where the deck builder missed nailing several of the deck nails into the supporting beam. 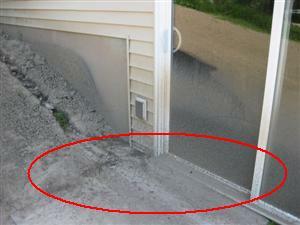 This is a brand new house and the concrete was poured incorrect and is slopped back toward the garage. 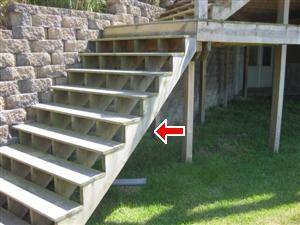 Missing railings on these deck stairs. 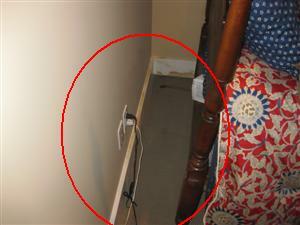 This is a safety hazard and possible FHA concern. 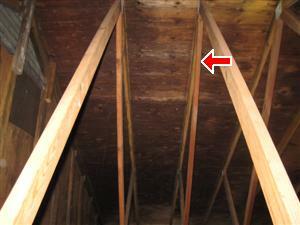 This is another photo of a newer home that this wood under the chimney did not get covered with siding / soffit material. 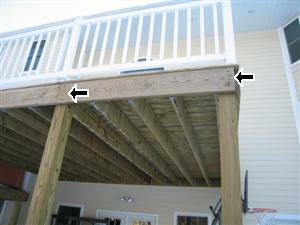 The main supporting beam should have lag screwed to the support post to properly secure the deck. 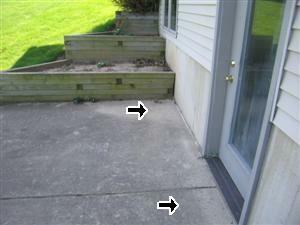 This home is less than 2 years old and we found that all the front porch concrete pillar caps were not properly secured to the base. 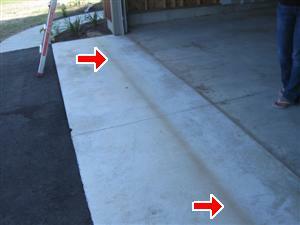 Concrete patio was poured incorrectly with a slope back toward the home. This retaining wall is falling over, it has moved approx. 1.5ft. It appeared to be installed properly using dead men for support but it was discovered that the dead men were fake. and that is why the wall had been moved. 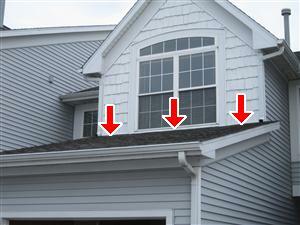 This new home was not graded properly and should have gutters installed. 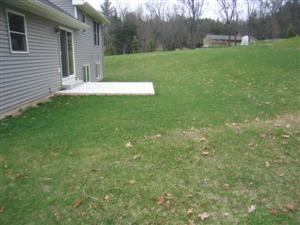 This back yard could have serious water troubles as the yard is sloped back toward the home. 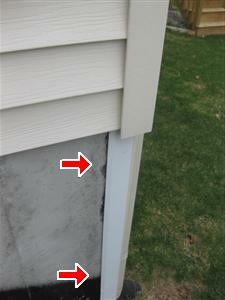 We recommend caulking where the siding and the concrete/block walls come together. You think these shingles look great in this 3year old home, well when you get on the roof and find out there is a couple hundred nail pops. This new roof will need to be replaced. 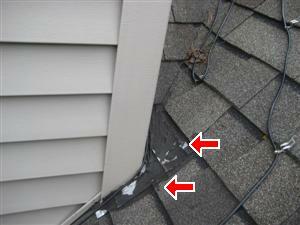 When you find a roof area like this, it is common that you will get ice build up, this photo also has some wire in it that is actually heat wire for ice. This is a photo of water pan that was installed to protect the electrical panel in case the sink plumbing lines leaked in the main floor bathroom. We checked with a local code inspector on this one and his answer was it was not a good idea to place a water line or waste line directly above a electrical panel but it was not a code issue. 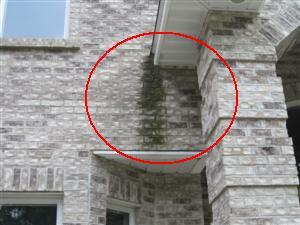 (Hard to believe this is acceptable) If you are not sure of a answer always make a call to a professional. Spliced wires should always go into a junction box. 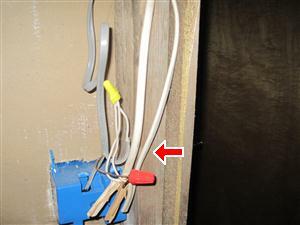 (safety hazard) Home owners become their own electrician. 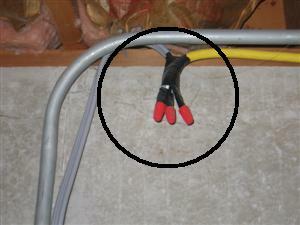 All spliced electrical wires should be placed into a electrical junction box for safety. Another home owner becoming a electrician. 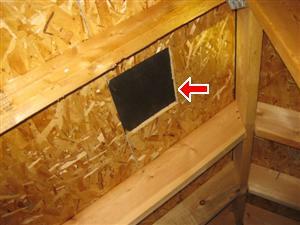 This is a ridge vent that has never been cut open, this will stop the air from venting out of your home. 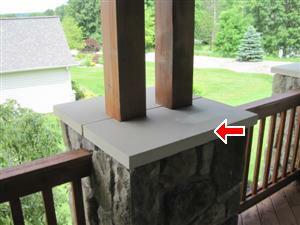 We recommend that a ridge vent should be cut open 3″ wide; this one is only 1″ wide. 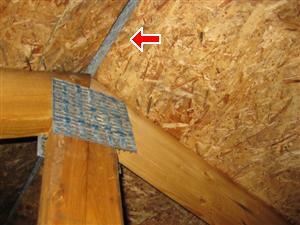 This will not allow proper ventilation out of the attic. 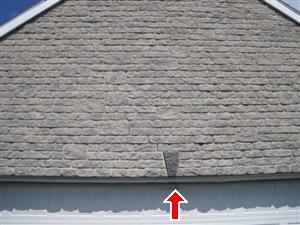 This is a photo of a roof vent that has been removed, new shingles were installed over it. 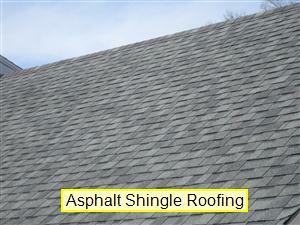 The issue is that when the shingles were installed the hole should have been re-supported before installing new shingles. 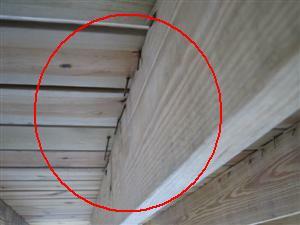 This photo indicates what can happens when roof sheathing clips are not installed. 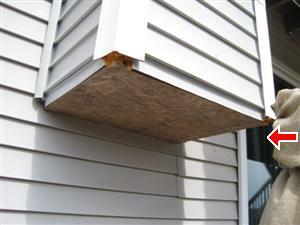 The lower section of sheathing has bowed, if a roof clip was installed this would not happen. Mold on the attic sheathing. 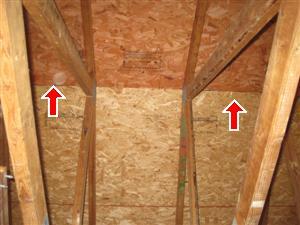 This Home was not vented properly. 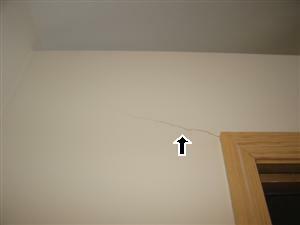 Most interior walls cracks like this one are normal settling. This is signs of Termites in a 2 year home. 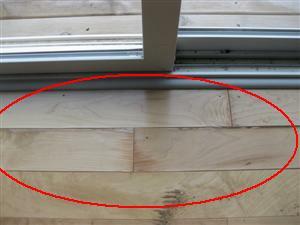 These interior wood floors are warped and the boards are separating, this is normally caused from a water leak and is normally found on a exterior wall. 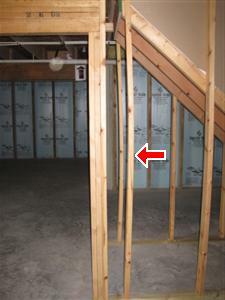 If you see this make sure you look down below in the basement or crawl space area for further damaged areas. 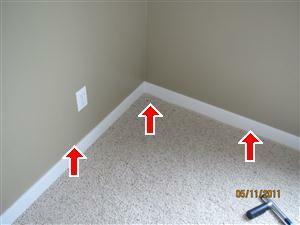 Do your best to look behind all beds and furniture, especially the ones on the exterior walls. 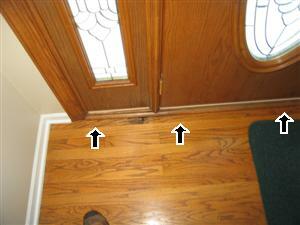 Water stains were found at the base of this entry door their is a good chance the door is leaking water, we recommend to hire a licensed contractor to repair the door. 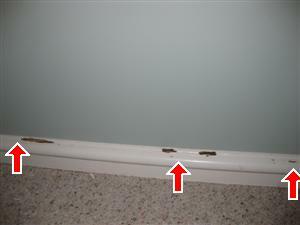 This wood floor is has warped more than normal near the sliding door, we recommend to have licensed contractor come in and check the door for water leaks. 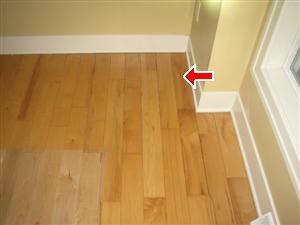 This is another photo of a new home and we found water stains in the daylight basement area. 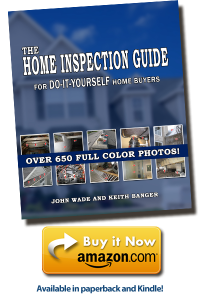 Even if the home is new it is important to have it professionally inspected. Water stains were found at the base of the window. 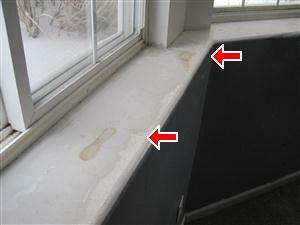 This is a newer home and the window is already leaking water. 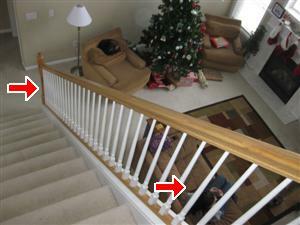 This home is only 2 years old but it is still very important to inspect every spindle in the railing system, we found two that were cracked and glued back together. 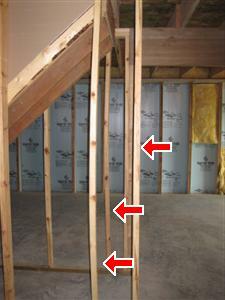 This home is two years old and we found that water was leaking into the corner of the basement. This was happening due to poor grading. 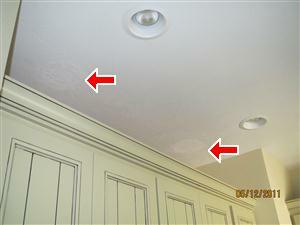 This is a photo where the lights were moved in the laundry room and the drywall company did a very poor job.